You’re traveling to Greece to relax and spend a lot of time in the swimming pool. Of course, you need to bring a watch (or several) with you. The swimming pool is 3 meters deep so a watch that is water resistant up to 30 meters should be ok. Right? While you’re on the beach in Ibiza, you see people having fun jet-skiing and you want to hop on a jet-ski as well. The watch you’re wearing has a water resistance of 100 meters and you’ll never get that deep on a jet-ski so it should be fine. Right? In this article, I’ll explain what the different water resistance ratings mean for your watch and what you can safely do with it. The FTC (Federal Trade Commission) argued that it’s not possible to 100% shield a watch from water at all conditions. That’s why the term “waterproof” was dropped in the 1960s. The new term was “water resistant” to a certain stated depth. The water resistance is mentioned in meters or bar – basically the same thing. Sometimes it’s mentioned in feet in which case you need to divide it by 3 for the number in meters or bar. In 1990, the International Organization for Standardization issued a standard for all water resistant watches – ISO 2281. In 2010, it was replaced by ISO 22810 which removed all vagueness and updated the content. All watches of all brands have to pass the same tests to claim any kind of water resistance. Testing for ISO 22810 includes a water resistance test and a condensation test. The watches are also tested for a resistance to different temperatures and a resistance to an overpressure of water and air. But there’s a “problem” with these tests. The watches are tested at random. It’s not required to test every single one. Only a sample of produced watches is tested and only for a short time – in static pressure in perfect conditions. Of course, perfect conditions don’t exist in the real world. Watches have to deal with all sorts of conditions like long-term exposure to water and sudden changes in temperature and water temperature. Not to mention severe bursts of pressure on the crystal and crown that occur when you fall off your surfboard or jet-ski. That’s why a 30m rated watch isn’t suitable for swimming and why you shouldn’t wear a 100m rated watch on a jet-ski. Since 1996, there’s also a standard for diving watches – ISO 6425. A watch that is certified has the word “DIVER’S” on the dial. Every single watch has to be tested. The tests are also harder to pass than that of the ISO 22810. The watches are immersed for much longer and they’re tested under 125% of the rated water pressure. That means, for example, that a watch that is water resistant up to 200 meters, is actually tested at a water pressure of 250 meters. In addition, other requirements are tested as well such as shock resistance, visibility and the resistance to salt water. Testing for ISO 6425 is voluntary and it costs money so not every watchmaker has their watches tested. In fact, only a small percentage have their watches tested. Most of the manufacturers have their own testing procedures and requirements. The Omega Seamaster Diver 300M Co-axial, for example, is water resistant up to 300 meters but it’s not ISO certified. Can I do this with my watch? As you notice, even with two standards it’s still a bit of a puzzle so this is a list which shows what kind of activities are safe to do with your watch. No water resistance: Avoid water at all cost. Even some drops of water can be dangerous. Watch out in hot weather too, because of transpiration. 30m/bar: You can wear it around the sink (wash your hands, splash water on your face, do the dishes). You can also wear it washing your car, for example. It’s ok if you get caught in the rain with it. 50m/bar: It’s safe to wear it in the shower or in a bath. You can also wear it during a quick swim in shallow water. Not for snorkeling or diving. 100m/bar: Suitable for snorkeling, sailing, and surfing. Not for scuba diving. 200-300m/bar: You can use it for serious water sports like jet-skiing, snorkeling, and scuba diving. 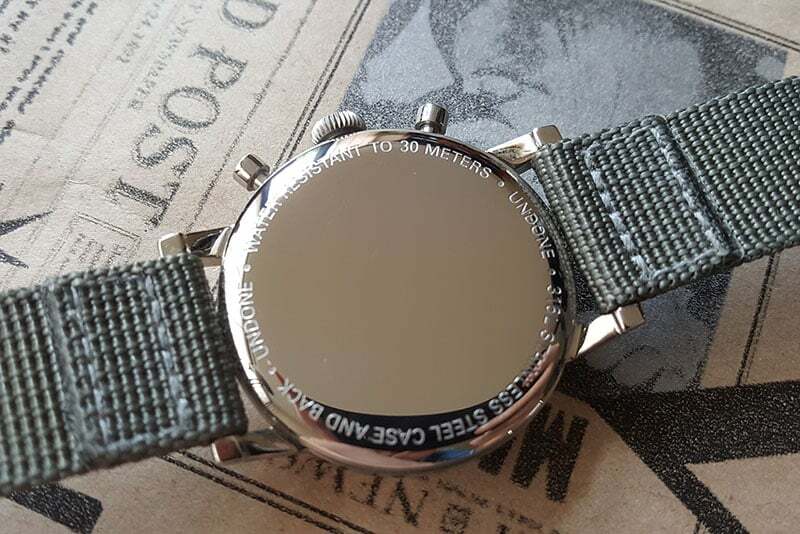 >300m/bar: Used for saturation diving so these watches have a helium escape valve. It also says “FOR MIXED-GAS DIVING” on the dial. You have to be very careful with vintage watches and water. Vintage watches predate the 2 ISO standards. That means that all companies still had their own way of doing things and their own set of criteria that a waterproof watch had to meet. There are plenty of vintage waterproof watches and vintage divers are even specifically designed to be under water. However, there’s a good chance that the seals have deteriorated over the years. If you really want to wear your vintage watch in the water, have your watchmaker replace the gaskets and perform a water resistance test first. The only vintage watch that you can safely slap on the wrist and enjoy underwater without worrying about it, is the Vostok Amphibia. Why make things difficult when you can buy a 200m ISO-certified watch like the Seiko SKX009K1 or the Citizen Promaster BN0151‑09l for $200 or less? If you wear a watch like this during any activities which are water-related, you’ll never be “underdressed”. You should rinse your watch under the tap every time you used it. The chlorinated water in swimming pools and salt water are harsh on the gaskets. It’ll dry them out which will reduce the water resistance. Make sure to take your watch to a watchmaker every 2 or 3 years to have the gaskets replaced and the water resistance tested. Maybe even every year if you wear and use it often. Better be safe than sorry. What’s your favorite waterproof watch? Let me know in the comments below. Thanks Melvin for the very informative article.